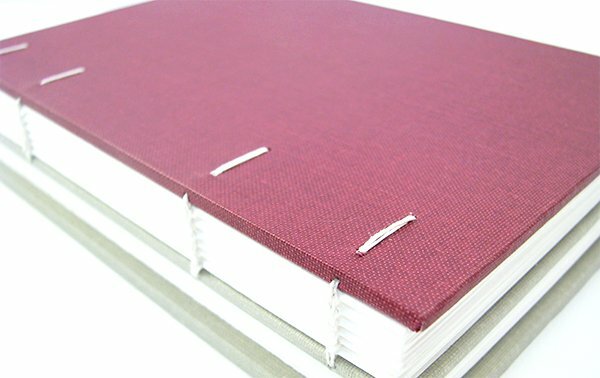 I’m making variations on the Coptic bookbinding stitch during March and this week I tackled the dos-à-dos structure. This is book 11 in my 50 Book Project. 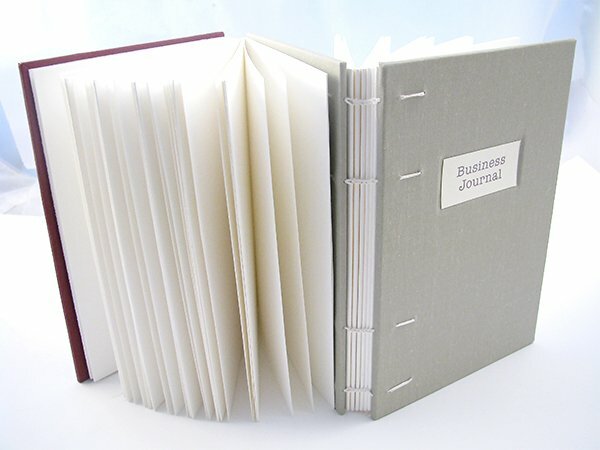 Dos-à-dos means back-to-back in French and the dos-à-dos binding is two separate books bound together to form one book. The back cover of the first book forms the front cover of the second book and the books open in opposite directions. It’s often made with a pamphlet stitch and I made one of these last year using a London Underground map. I’ll admit that making a coptic dos-à-dos book was challenging and adding the final cover required two pairs of hands, but I like the way it turned out. I signed up for Tara Gentile’s Quiet Power Strategy coaching program, which starts tomorrow and I plan to journal the process using this book. 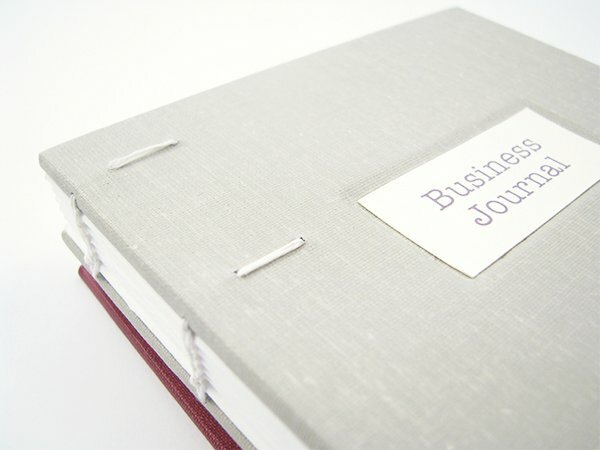 The covers were wrapped in two different colored book cloths – sand and burgundy. 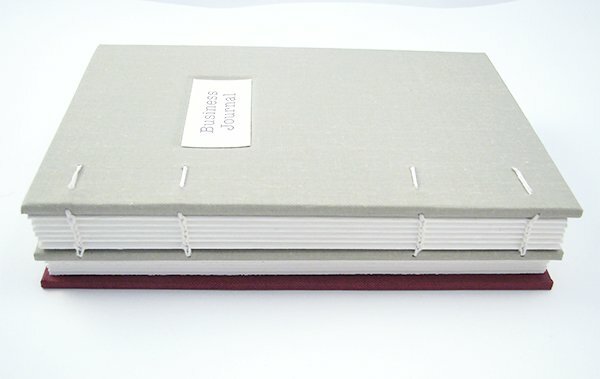 In last week’s sketch book, I used a 4-ply waxed linen thread for the coptic binding, which formed larger stitches and a thicker spine. 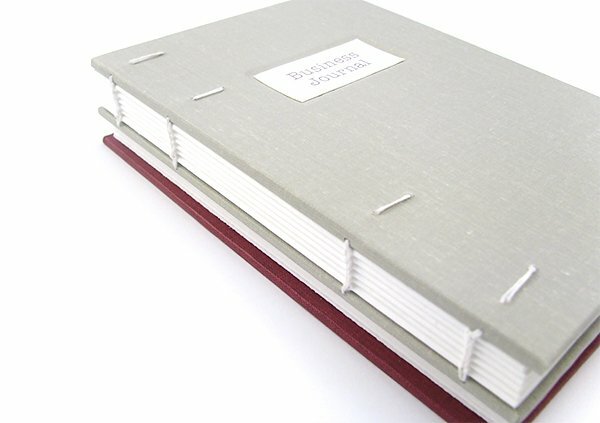 I used a finer German unwaxed linen thread on this week’s book, which created a thinner spine and finer stitches. 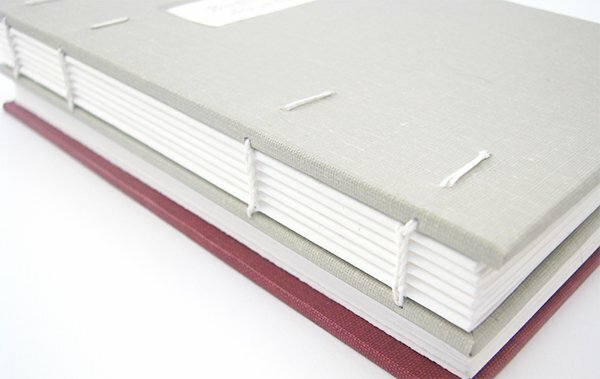 If you’d like to learn the coptic binding stitch, I’m offering a class in Lowell, MA on April 11 or if you don’t live locally, I compiled a list of the best online coptic binding tutorials for you. 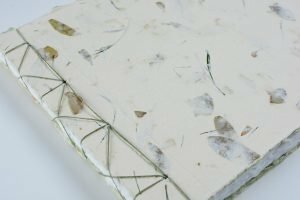 If you’d like to keep up with my bookbinding adventures, please subscribe to my weekly newsletter. I’d love you to join our community!